Col is a producer from Scotland, now living in San Francisco, California. Ollie Wride is a singer-songwriter from Brighton, England. Together they come together to turn Col’s vision for FM-84 into an epic and intimate live experience. Prepare for soaring retro beats, nostalgic synths, sun-kissed guitars and an epic vocal performance from irrepressible frontman Ollie Wride. After a SOLD OUT tour of the US and Canada in 2017 and 2018, the duo embark on a brand new 12 date tour of the US and Europe to coincide with brand new music in 2019. "Atlas" is the story of wonder, imagination, dreams, youth, innocence, love and heartbreak all captured under the golden light of a fading summer sun. The sound of a summer long gone. 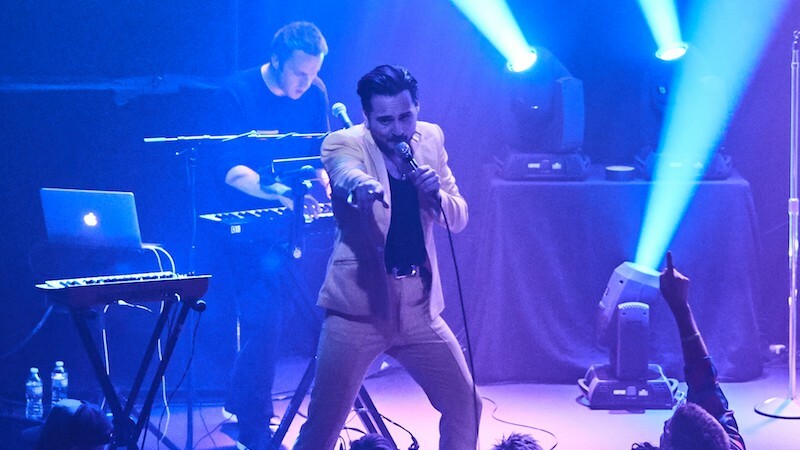 Experience the retro synth-pop sensation LIVE in 2019. This show was upgraded from Oslo due to phenomenal demand. Original tickets remain valid.